To sign up for FREE periodic E-mail notifications about new features on this site, send E-mail with word "update" in the subject line. 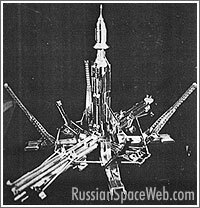 Searching photos, artwork, books, blueprints, published and unpublished articles, dissertations, memoirs and other materials and documents on the history of rocketry and space exploration from any country and any time period. Ballistic missiles developed at the OKB-1 design bureau during 1950s and 1960s. Just two days after the US Secretary of Defense criticized Russia for proliferation of missile technology to rogue nations like North Korea and Iran, Russia coincidentally "responded" with the test launches of two ballistic missiles on February 16, 2001. At 13:43 Moscow Time (5:43 a.m. EST) the old Topol-type mobile ICBM blasted off from Plesetsk, successfully hitting Kura target range at Kamchatka Peninsula, according to the press-service of the Russian Strategic Missile Forces. The missile used in the test has been in armaments since 1983, much longer than its planned service life. Several minutes before, at 13:28 Moscow Time (5:28 a.m. EST) an unidentified "sea-based" ballistic missile was also launched during the training exercise of the Russian Northern Fleet, the Ministry of Defense said. The launch apparently took place from a submarine in the Barents Sea and involved a long-range ballistic missile. Russian armed forces had a busy weekend on Saturday, October 12, 2002, conducting the most extensive missile launching exercise in years. According to the Russian media, an unnamed submarine stationed in the Sea of Okhotsk and the Kalmar submarine in the Barents Sea fired long-range missiles at targets at Cape Kanin Nos in the Russia's northern regions and at the Kamchatka Peninsula, at 13:12 and 13:55 Moscow Time respectively. Within 40 minutes after sea-based launches, the Topol (RS-12M) ICBM flew a training mission from Plesetsk to Kamchatka Peninsula. The firing was conducted by the personnel of the Novosibirsk missile division, which had been deployed in Plesetsk in the course of the exercise. The missile used in the launch had been in armaments for 12 years. To complete the picture, after midnight from October 12 to October 13, Tu-160 and Tu-95 strategic bombers took off from their bases and after 12 hours in the air launched cruise missiles aimed at targets beyond the polar circle and the Volga River region, located some 4,000 - 5,000 kilometers from the points, where they were launched. The massive exercise also involved Russian space tracking network as well as early-warning infrastructure, including for the first time since the disintegration of the former USSR, radar facilities located in the former Soviet republic of Belarus. Russian antimissile batteries reportedly targeted the "incoming" missiles, but failed to intercept them. Russian press quoted military officials as saying that the exercise was conceived to be a training as well as a political demonstration for NATO and its prospective new members, particularly Baltic republics of the former USSR. A week after the US-led coalition invaded Iraq, the Russian military launched an exercise, showcasing the country's missile might. On March 27, 2003, an operational unit of the Strategic Missile Forces, RVSN, conducted a training launch of the Topol intercontinental ballistic missile (RS-12M). According to the official information, the missile blasted off at 12:27 Moscow Time from a mobile launcher, deployed at the Plesetsk test range. The operational unit of Russias Strategic Missile Forces, RVSN, conducted the launch, with the support of Space Forces, KVR. The firing of the Topol missile became a culmination of a training exercise, which was underway in the Teikovo Division of RVSN in the Ivanovo Region, northeast of Moscow. Russia conducts multiple rocket launches, tests new technology. Russian Strategic Missile Forces, RVSN, test-fired an R-36M missile from the Baikonur Cosmodrome on June 29, 2004. The flight aimed to certify the service life of such systems for a 20-year period. In the meantime, the submarine Ekaterinburg (Dolphin Class, Project 667) from the Russian Northern Fleet launched a D-9RM ballistic missile from its underwater position in the Barents Sea. The missile's warhead successfully reached the Kura impact range on Kamchatka Peninsula. The Topol missile lifted off from Kapustin Yar test range on Nov. 1, 2005, at 20:10 Moscow Time, heading toward Sary Shagan antimissile test site. The mission apparently tested technical means designed to defeat potential missile defense systems. Russian Strategic Missile Forces, RVSN, conducted a training launch of the RT-2PM Topol intercontinental ballistic missile, ICBM, Roskosmos announced. The vehicle lifted off on August 3, 2006, at 13:38 Moscow Time from a mobile launcher deployed at Russia's northern cosmodrome in Plesetsk. According to Roskosmos, Topol's warhead successfully reached its target at the Kura impact range on the Kamchatka Peninsula. "The launch confirmed battlefield capabilities of the rocket complex and the work effectiveness of the industry, which developed and manufactured the system," Roskosmos' statement said. It was the 80th launch of the Topol missile. Russia conducted a test launch of the intercontinental ballistic missile, a representative of the Strategic Missile Forces announced. The RS-12M Topol missile lifted off from Russia's northern cosmodrome in Plesetsk on October 18, 2007, and headed toward the Kura impact range in the Kamchatka Peninsula. The goal of the mission was to certify the vehicle for extended combat service reaching 23 years, instead of original 10 years. According to the Russian officials, the missile successfully reached its targets. The original Topol missiles were expected to remain in service until 2015. Russia conducted a missile launch (Topol) from Kapustin Yar, which included testing of technical means designed to defeat potential missile defense systems. The mission targeted Sary Shagan antimissile defense test site. 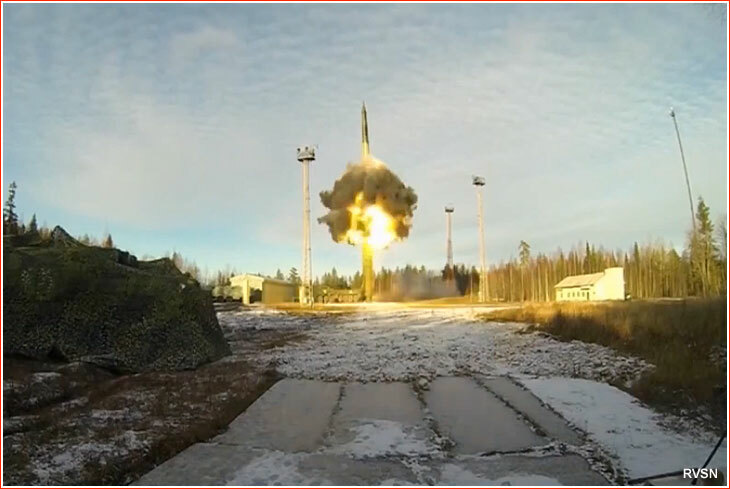 Russian Strategic Rocket Forces conducted a launch of the Topol ICBM. The vehicle, which was in armaments for 21 years, lifted off from Plesetsk on Oct. 12, 2008, at 11:24 Moscow Time (07:24 GMT). According to the official information, the rocket successfully reached the Kura impact range on the Kamchatka Peninsula. On April 30, 2009, at 12:10 Moscow Time, a combined team of Irkutsk rocket unit and space forces conducted a training launch of the RS-12M Topol missile from Plesetsk, a spokesman for the strategic missile forces said. The goal of the mission was to confirm the missile's characteristics and certify the vehicles of that type for extended service. The rocket used in the mission was manufactured in 1987 and until August 2007 was deployed with the Teikovo division, according to a RVSN official. Russian Strategic Rocket Forces conducted a launch of the RS-12M Topol ICBM. The vehicle, which was in armaments for around 20 years, lifted off from Kapustin Yar on Dec. 10, 2009, at 15:35 Moscow Time. The vehicle successfully hit its target at the Sary Shagan anit-missile test range, Russian military officials said. Russian strategic missile forces, RVSN, conducted the 100th launch of the Topol ICBM from the nation's northern cosmodrome in Plesetsk on Oct. 28, 2010, at 13:59 Moscow Summer Time. The rocket successfully hit its target on the Kamchatka Peninsula 23 minutes after the liftoff, the official military Zvezda TV channel reported. According to an RVSN spokesman, the particular missile was manufactured in 1987 and was operationally deployed in Teikovo missile base until August 2007. Russian military regularly conducts launches of aging missiles to confirm their operational readiness. The latest mission aimed to validate the extension of operational service of the Topol missiles from original 10 years to 23 years. A Russian ICBM flew an unusual short-range test mission, likely testing anti-missile defense systems. The RS-12M Topol ballistic missiles lifted off from Kapustin Yar cosmodrome on Dec. 5, 2010, at 22:11 Moscow Time and flew toward Sary Shagan anti-missile test range in Kazakhstan. The rocket's warhead successfully hit its target, Russia's strategic missile forces said. According to the Ministry of Defense spokesman, the purpose of the launch was to confirm flight characteristics of rockets of this class during extended operational life span, to test various tracking systems for the Russian armed forces and to conduct another test of armed payloads for ballistic missile. The particular trajectory of the missile and the official statement hints about possible test of Russia's anti-missile capabilities. The Russian Strategic Missile Forces, RVSN, tested a more accurate warhead system for new-generation ballistic missiles. According to the Izvestiya newspaper, quoting an RVSN representative, the Topol missile lifted off from a mobile launcher in Plesetsk cosmodrome on Sept. 3, 2011, at 13:46 Moscow Time. 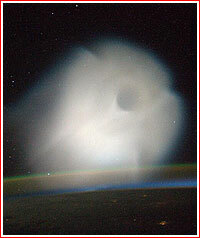 Around 20 minutes later the new warhead carried by the missile hit its target at the impact range on the Kamchatka Peninsula. The new warhead was designed for Bulava and Yars missiles, rather than for the Topol ICBM, which launched it, said Vadim Koval, an RVSN spokesman. 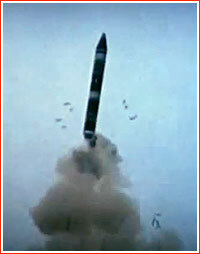 The same launch also tested the operational readiness of the Topol missile, which had been manufactured in 1988. 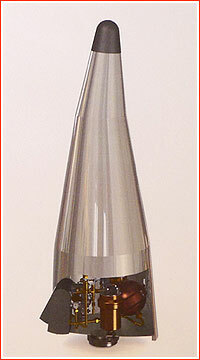 The mission had qualified missiles of this type for another year of service. Continuing the checkered record of the Russian rocket industry in 2011, the experimental ballistic missile failed during a test launch. A modified version of the Topol-M ballistic missile lifted off from a mobile launcher deployed at Russia's northern cosmodrome in Plesetsk on Sept. 27, 2011, at 11:08 Moscow Time. The rocket failed almost immediately after the launch during the powered flight of the first stage. A search helicopter found the crash site eight kilometers from the launch pad. According to the Russian media, the accident caused no injuries or damage to property. It took military officials almost 24 hours to confirm the fact of the accident. The launch reportedly aimed to test a multiple warhead system, which is being developed for the new-generation ballistic missile known as RS-24 Yars. Representatives of Moscow Thermal Technology Institute, MIT, reportedly oversaw the test in Plesetsk, alongside military personnel. A joint team of space forces and strategic missile forces (RVSN) had conducted a test launch of the new type of the intercontinental ballistic missile, official Russian sources said. The vehicle lifted off from a mobile launcher deployed at the nation's northern space launch and test site in Plesetsk on May 23, 2012, at 10:15 Moscow Time. According to a representative of RVSN Vadim Koval, the missile's warhead successfully reached its target in the Kamchatka Peninsula. Although the official statement did not identified the name of the missile, it confirmed that it was based on existing systems (most likely Topol-M) and the first attempt to launch this type of vehicle failed on Sept. 27, 2011. An old Topol (RS-12M) missile lifted off from a test range in Kapustin Yar on June 7, 2012, at 21:39 Moscow Time, the official Russian media reported. According to a representative of the Ministry of Defense responsible for Strategic Missile Forces Vadim Koval, the vehicle's warhead successfully hit its target at the Sary Shagan anti-missile test site in Kazakhstan. The launch had a goal of confirming capabilities of old Topol missiles during their extended operational service, but also aimed to help in the development of the new methods for the penetration of the enemy's missile defenses. Apparently, due to the unusual trajectory of the flight along Russia's southern border and a position of the setting sun, the launch was observed as far as the Middle East. As part of a large-scale military exercise, which included firings of air-based cruise missiles and submarine-based ballistic missiles, Russian strategic missile forces launched a Topol ICBM from Plesetsk on October 19, 2012, at 13:12 Moscow Time toward the Kura impact site on the Kamchatka Peninsula. Russian strategic missile forces, RVSN, fired a prototype of the new intercontinental ballistic missile, ICBM, from a mobile launcher deployed at the Kapustin Yar test range, official Russian media reported quoting a representative of RVSN. An unidentified vehicle lifted off on October 24, 2012, at 22:28 Moscow Time and flew in the direction of the Sary Shagan anti-missile test site, hitting its virtual target and completing all tasks of its test mission, the RVSN spokesman said. A similar launch took place on June 6, 2013, at 21:45 Moscow Time, according to official Russian media, quoting a representative of the Strategic Missile Forces. The rocket flew from Kapustin Yar toward the Sary Shagan test site. A day later, the Ministry of Defense announced that it was the fourth launch of the Rubezh (Frontier) rocket complex equipped with new multiple warheads and the deployment of the first operational unit equipped with this rocket had been scheduled to start in 2014. On Oct. 10, 2013, at 17:39 Moscow Time, a Topol missile was fired from the Kapustin Yar test range. According to the Russian strategic missile forces, RVSN, quoted by the official Russian media, the vehicle's mockup warhead successfully hit its target at the Sary Shagan test range in Kazakhstan. The mission aimed to test the warhead's ability to evade anti-missile systems and involved optical and radar tracking facilities. The launch also proved the rocket's operational capabilities following its extended life span. Coincided with the sunset in Kazakhstan, the flight of the missile was observed across wide areas of the former Soviet republic and it was even photographed by a European astronaut Luca Parmitano from the Soyuz TMA-09M crew onboard the International Space Station, ISS. On Oct. 30, 2013, President Vladimir Putin oversaw a "sudden" exercise of the Russian strategic missile forces, military space defense forces, navy and long-range aviation, official Russian media reported. During the exercise, a pair of Topol missiles was fired from the Northern Cosmodrome in Plesetsk, while an R-36M2 ICBM was launched from Dombarovsky in Southern Russia. Around the same time, Bryansk and Georgy Pobedonosets submarines launched ballistic missiles while submerged in Barents Sea and the Sea of Okhotsk. Missiles' warheads reached their impact sites at Chizha range in Northern Russia and Kura site in the Russian Far East. In the meantime, missile and artillery units from Central and Southern Military Districts fired at least two Iskander and two Tochka-U tactical missiles from Kapustin Yar test range. Missiles hit their targets more than 100 kilometers downrange. The accuracy of hitting targets was estimated with the help of Russian-made unmanned drones equipped with digital imaging and data-transmission systems, official media reported. S-300 and S-400 anti-aircraft batteries also deployed at Kapustin Yar fired multiple missiles, apparently toward imaginary aerial targets. 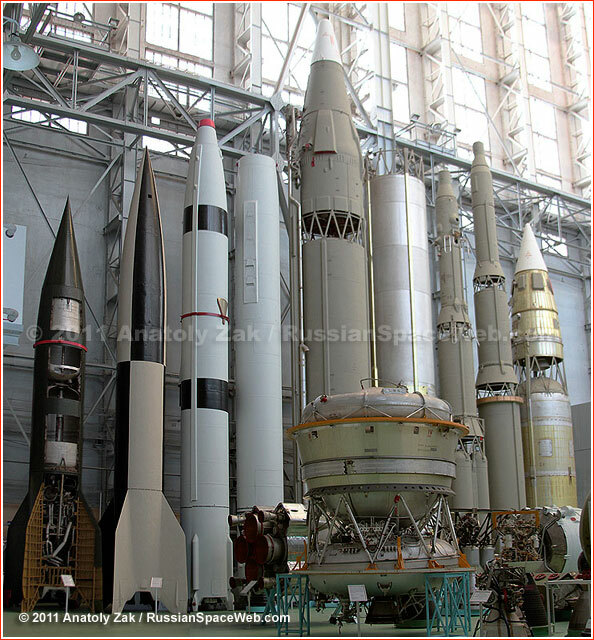 So did a silo-based "short-range" anti-missile rocket, seemingly fired from the Sary Shagan base in Kazakhstan. It was probably a 53T6 missile from the A-135 anti-missile complex designed to protect Moscow. Six Tu-95MS long-range bombers took off from Engels air force base and flew to the north of Russia, where they launched three cruise missiles toward the Telemba test range near the Siberian city of Chita. On Dec. 24, 2013, Russian strategic missile forces, RVSN, launched a RS-24 Yars ICBM with multiple warheads from a silo facility in Plesetsk. The test flight targeted the Kura impact range on the Kamchatka Peninsula. According to an RVSN representative quoted by the official RIA Novosti news agency, all training warheads from the launch hit their targets with required accuracy. 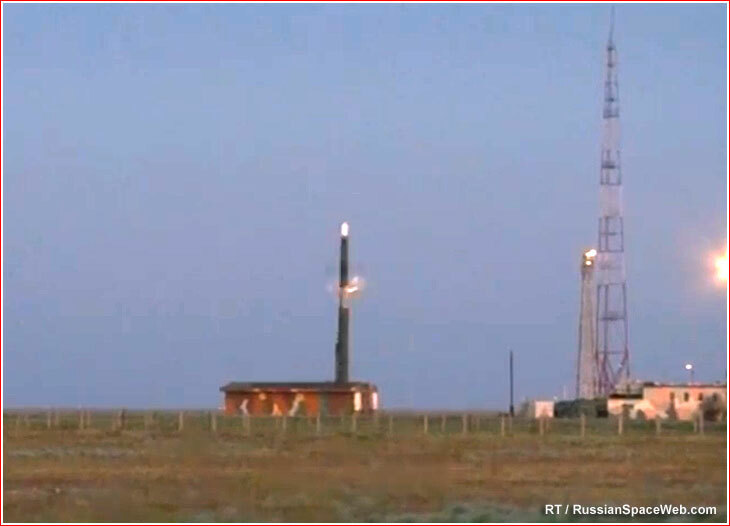 On Dec. 27, 2013, at 21:30 Moscow Time, a Topol (RS-12M) missile was launched from Kapustin Yar test range. According to a spokesman of the Russian strategic missile forces, RVSN, the vehicle's training warhead successfully reached a simulated target at the Sary Shagan test range in Kazakhstan. According to various sources, a Topol (RS-12M) Intercontinental ballistic missile, ICBM was launched from Kapustin Yar test range on March 4, 2014. The vehicle appeared to be carrying an experimental warhead and flew in a direction of the Sary Shagan test range in Kazakhstan. The launch was likely unconnected to the military standoff between Russian and Ukrainian forces in Crimean Peninsula. On the eve of the Victory Day celebrations on May 8, 2014, the Russian president Vladimir Putin oversaw a major "command and control exercise" of the Russian armed forces, featuring multiple missile launches. During the exercise, a Topol (RS-12M) ICBM was launched from Plesetsk toward a Kura impact site on the Kamchatka Peninsula. The launch reportedly certified a flight readiness of an 25-year-old missile. On the same day, a Tula submarine stationed in the Barents Sea fired an R-29RMU-2 missile also toward Kura. A similar submarine of the Pacific Fleet -- Podolsk -- which was deployed in the Sea of Okhotsk off the Russian east coast launched an R-29R missile aimed at the Chiza impact site on the Kanin Nos Peninsula. The latest launch marked the reintroduction of the Podolsk submarine as a launch platform after a more than decade-long hiatus. In the meantime, the Tu-95 strategic bomber launched six cruise missiles, believed to be Kh-55. The official Russian sources only said that missiles were heading toward targets within the Western Military District. In Kazakhstan, Russian anti-missile defense units fired a short-range interceptor from the Sary Shagan anti-missile test range. Finally, launches of a 3M14 sea-based cruise missile, Iskander intermediate-range ballistic missile and other smaller missiles were also reported. Official Russian sources reported that on May 20, 2014, at 21:08 Moscow Time, a Topol missile (possibly a Topol-E version) launched an experimental payload from Kapustin Yar test site. The vehicle apparently headed toward the Sary Shagan anti-missile test range in Kazakhstan. A joint unit of the Russian Strategic Missile Forces, RVSN, and the Air and Defense Forces, VKO, fired an RS-24 Yars ballistic missile with multiple warheads on Dec. 26, 2014, at 11:02 Moscow Time, from a mobile launcher in Plesetsk, the official TASS news agency reported. According to a spokesman for the Russian Ministry of Defense, training warheads of the missile successfully hit their targets at the Kura impact range on the Kamchatka Peninsula. The purpose of the launch was to confirm technical readiness of the missiles manufactured in 2013 and 2014 as RVSN was being actively transitioning to Yars missiles. On August 22, 2015, Russian Strategic Missile Forces, RVSN, conducted a test launch of the RS-12M Topol ballistic missile from Kapustin Yar test site, the official Russian media reported. The vehicle believed to be representing a Topol-E variant of the rocket. According to the TASS news agency, the purpose of the launch was the test of the prospective warhead system, which successfully reached the Sary Shagan site in Kazakhstan. On Oct. 28, 2015, at 14:30 Moscow Time, a Yars ICBM carrying MIRV warhead made a test launch from a silo facility in Plesetsk and all its reentry vehicles successfully reached the Kura impact range on the Kamchatka Peninsula, the official Russian media reported quoting a representative of the Russian Strategic Missile Forces, RVSN. The flight aimed to confirm the reliability of a batch of missiles manufactured at the Votkinsk plant. On Oct. 30, 2015, a Topol missile was launched from Plesetsk, as part of a routine excercise of the Russian armed forces, which also featured firings of Kalibr cruise missiles from the Velikiy Ustyug cater, submarine-based missiles and intermediate-range Iskander missile, which hit a target near Kapustin Yar. On Sept. 22, 2016, as Russia and the US were engaged in the war of words over civil war in Syria, the Russian Ministry of Defense announced that a large-scale missile exercise covering huge swath of the Russian territory had been underway. More than 60 mobile launchers carrying Topol, Topol-M and Yars intercontinental ballistic missiles were deployed on the territory spanning from the Tver Region north of Moscow to the Irkutsk Region in the Russian Far East. A total of 1,700 various vehicles supported the massive show of force, including 400 heavy tracks and trailers. They were manned by more than 4,000 members of the personnel. 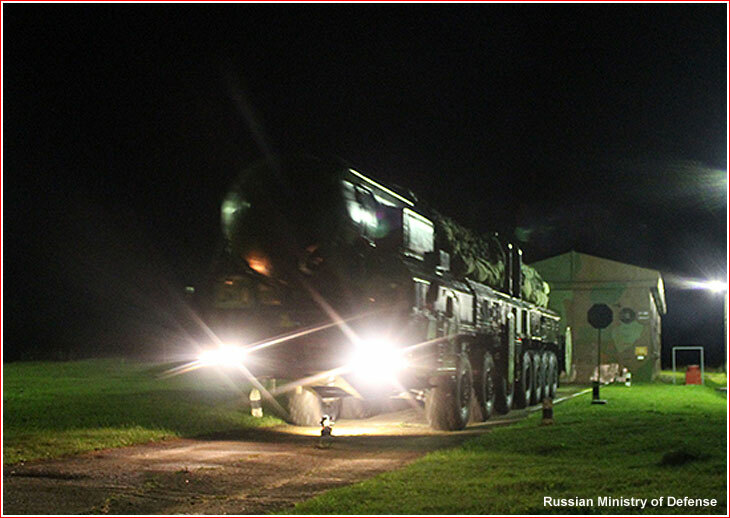 General-Colonel Sergei Karakaev, the commander of the Strategic Missile Forces personally oversaw the night-time deployment of the Topol ICBM unit at the westernmost missile base of Bologoe, the Ministry of Defense said. According to the official announcement, the exercise aimed to test new methods of preparing the ICBM launchers for action and also train their crews and support personnel to counteract possible acts of sabotage. 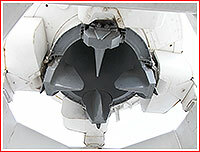 New deployment techniques would enable to cut the time required to prepare launchers for movement from 20 to 30 percent, the Ministry of Defense said. On Sept. 26, 2017, Russia launched an RS-12M Topol rocket with a prospective warhead from Kapustin Yar. The flight tested new systems for penetrating anti-missile defenses, the Russian Ministry of Defense said. The test warhead successfully hit a notional target at the Sary-Shagan test range in Kazakhstan. 1980s project of the aircraft-launched ICBM. Possibly, Topol-M/Yars version with modified self-propelled warheads or a proposed railway-based ICBM first mentioned in 2011. Excluded from 2018-2027 armaments program. MiG-31K-launched version of Iskander? Unveiled on March 1, 2018. Reportedly deployed since December 2017. Range more than 2,000 kilometers. 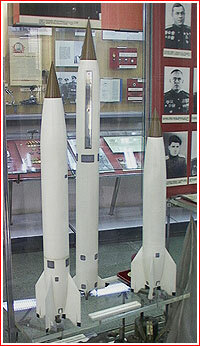 A scale model of the mobile launch system developed at TsNIIMash research institute.